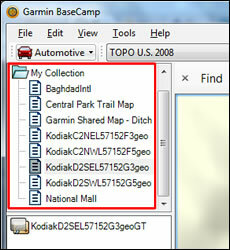 Many of the maps downloaded from this site or purchased from Garmin or other websites can be viewed on your computer via Garmin Mapsource or Garmin BaseCamp. 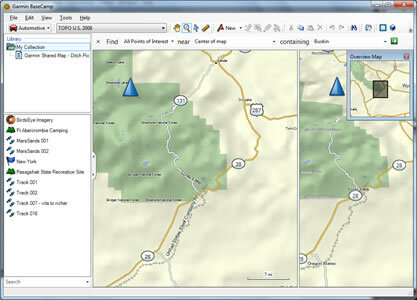 Garmin BaseCamp (Mac & Windows) is the current mapping program for use with all Garmin GPS units. It has replaced Garmin MapSource in recent time. In this tutorial we will help you decide if the map is easily loaded into BaseCamp and then how to open the map and see it in BaseCamp. Download a map from here or another website. 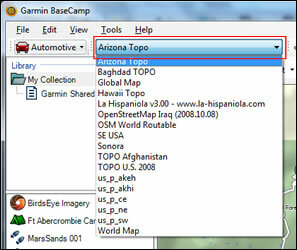 Make sure Garmin BaseCamp is closed during map installation. If the map did install similar to above your life is easy and you can open the map in BaseCamp right away. Also, if the map is a .kmz file you can open that in BaseCamp as well with ease. If the map didn't have an installer and is .img files check out this tutorial to install the map into BaseCamp then continue reading. Make sure you have the latest version of BaseCamp. Don't have BaseCamp? Get it here. 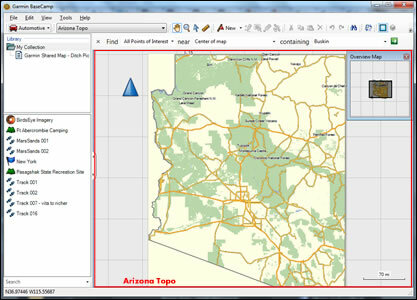 If that drop down box does not appear you can click the "View" menu and then "Map Product" and select the map from there or you can make the drop down appear by right clicking on a blank area of the toolbar and enabling "Map Products". NOTE: If you do not see the map you installed there may be a glitch (it is known with certain maps on certain computers. Close BaseCamp, download and install My Trails, and re-open BaseCamp. The original map should not appear. The map will now display in the main window on both the right and left panes (if map has 3D data). You can now browse the map freely. Note that more detail appears as you zoom in. If you never see any map data regardless of how far you zoom in make sure you are not in Basic Map Mode (check View->Basic Map). Additionally checking and unchecking the View-> Basic Map (CTRL-G) will reload the map so it is updated. If you want to install the map onto your GPS you can continue and follow this tutorial to install the map onto your GPS. Garmin BaseCamp allows you to open and load custom raster maps (formatted as .kmz files). First, open Garmin BaseCamp. Now click File>Import and select the .kmz file(s) you would like to load. Open it(them). On the left side, in "My Collections" your custom maps are loaded. 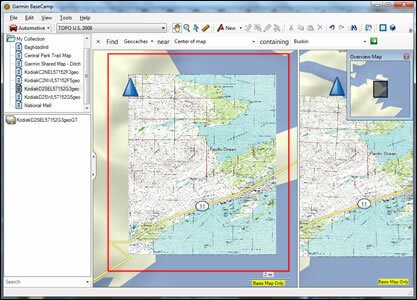 You can now view your raster map and transfer it to the modern generation of Garmin GPS units.